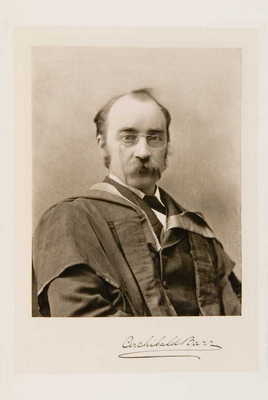 When Archibald Barr returned to Glasgow from Leeds in 1889 he had formed a design consultancy business with William Stroud, the Professor of Physics in Leeds. 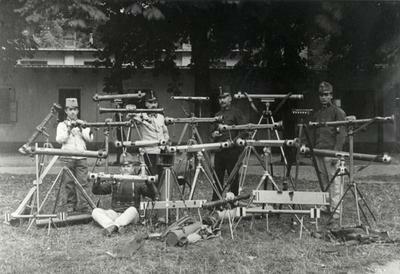 In response to a War Office advert in 1888, they created a prototype instrument to measure the range of gunfire. Following sea trials in 1892 the demand for their products grew fast and in 1894 they created a company, called Barr & Stroud Patents, to market their inventions. "From boyhood he showed inventive talent and all his mind was occupied with the solution of a long series of mechanical problems; while to the development of his patents on a manufacturing scale he applied an integrity that would not brook the least lapse from workmanship of the highest kind." 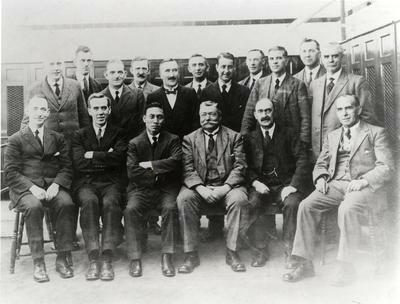 Barr became the senior partner and the head of the design team at the firm's Glasgow factory, and, in 1912, he resigned his chair to focus on the firm's development. He later developed a number of other instruments including a torpedo depth recorder, rangetaker-tester, aircraft bombsights, and submarine periscopes. 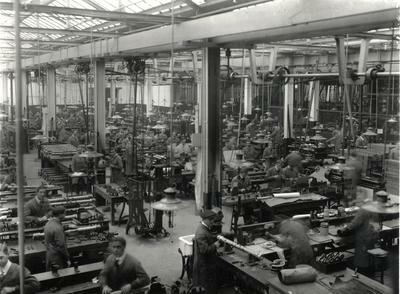 The company were from the outset official suppliers to the Royal Navy and many other forces at home and abroad. Barr never forgot his University of Glasgow connections continually helped to raise large sums to support teaching and research. 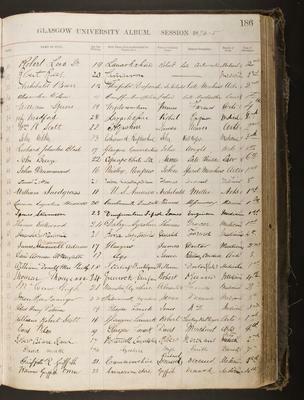 The University awarded him an honorary degree in 1914 and he was elected FRS in 1923. The firm that was started by Professors Barr and Stroud became part of the Thales Group in 2001. The firm now employs over 68,000 employees in 50 countries. Moss, Michael and Iain Russell. 1988. Range and vision: The first hundred years of Barr & Stroud. Edinburgh: Mainstream Publishing. Obituary. 1931. Nature. 128: 294-95. Professor Barr meets the closing date for submission for a design for a rangefinder to the war Office. World Changing Project, "Inventing the range-finder and other optical instruments," in University of Glasgow World Changing (University of Glasgow, 2010); http://www.worldchanging.glasgow.ac.uk/article/?id=21 (accessed April 26, 2019). World Changing Project. "Inventing the range-finder and other optical instruments." In University of Glasgow World Changing. University of Glasgow, 2010. http://www.worldchanging.glasgow.ac.uk/article/?id=21 (accessed April 26, 2019). World Changing Project. "Inventing the range-finder and other optical instruments." University of Glasgow World Changing. University of Glasgow, 2010. 26 April 2019 <http://www.worldchanging.glasgow.ac.uk/article/?id=21>.